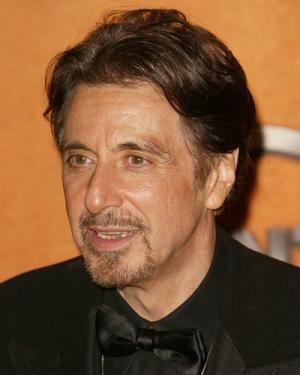 Alfredo James Pacino was born on 25 April 1940, in East Harlem, New York City USA, of Italian-American descent. He is an actor, film director, producer, and screenwriter, but Al Pacino is undoubtedly best remembered for two characters portrayed by him that stand out above all – Michael Corleone in Francis Coppola‘s “The Godfather”, and Tony Montana in Brian De Palma‘s “Scarface”. So just how rich is Al Pacino? Sources estimate that Al’s impressive net worth is $185 million, accumulated during his career in the film industry spanning more than 45 years. Pacino is considered to be one of the greatest and most memorable actors of our time. During his early years, Al Pacino dreamt of becoming a baseball player and, not being a good student, skipped most of his classes. As a result, he dropped-out from the prestigious High School for Performing Arts in the Bronx and left his home at the age of 17. At the time, his only income consisted of the low-paid jobs he took in order to survive, marking one stage of highs and lows that recurred during his lifetime. In 1966, Pacino attended the Actor‘s Studio, and later performed a role of a street youth in an off-Broadway drama entitled “The Indian Wants The Bronx” that earned him an Obie Award for the Best Actor in the 1967-1968 theatrical season. Pacino‘s first on-screen acting appearance was in the 1969 movie entitled “Me, Natalie” and two years later he starred as a heroin addict in Jerry Schatzberg‘s “The Panic in the Needle Park”. This role caught the attention of movie director Francis Ford Coppola, who offered Pacino a leading role in his movie “The Godfather”. For the role of Michael Corleone in the first movie Al earned $35,000, while his appearance several years later in “The “Godfather: Part III” earned him $5 million. This wasn’t the peak of Pacino‘s acting career, however, as shortly after the first movie, in 1983 Al was offered the role of a Cuban drug lord in De Palma‘s high grossing “Scarface”, a movie that earned $4.5 million during its opening week and further established Pacino as an extraordinary, charismatic and publicly admired actor. Not surprisingly, most of Pacino‘s income and wealth comes from his acting career. Pacino is said to star in an average of one movie per year, which accounts for a total of 50 movie performances during his career, with scheduled appearances in the upcoming films “The Humbling” by Barry Levinson and “The Irishman” by Martin Scorsese in 2015. Pacino has also been nominated for and won awards for the majority of his remarkable roles: he is a four-time Golden Globe winner with 15 nominations, a two-time Primetime Emmy Awards and Tony Awards winner, as well as a one-time Academy Awards and BAFTA Film Awards winner. In his personal life, Al Pacino has never married, but has a daughter with acting coach Jan Tarrant. He also has twins, a son and a daughter with actress Beverly D’Angelo, with whom he had a relationship from 1996 until 2003. Pacino has also had relationships with Diane Keaton, his co-star in “The Godfather” trilogy, Tuesday Weld, Jill Clayburgh, Marthe Keller, Kathleen Quinlan and Lyndall Hobbs. Despite leading a luxurious lifestyle and having many homes in the prestigious Palisades area of New York, Al Pacino is an active charity worker, supporting the causes of AIDS Healthcare Foundation, Save The Children, Make Poverty History, as well as Exploring the Arts and Amnesty International among many others.